Lessons from an evening with the Marjory Stoneman Douglas school shooting survivors. It is not often that the halls of this suburban UU church are abuzz with activity on a Saturday night—but on June 16 DuPage Unitarian Universalist Church in Naperville, Illinois, was getting ready for something special. As I stood against a wall in the foyer, I saw a swarm of volunteers moving like vigorous worker bees, but less typical was the sight of a procession of police parading through the church’s corridors. All of this activity was in preparation for a group of high-profile visitors who were at that moment en route to this location, high schoolers who had their school thrown into the national spotlight and chose to seize the opportunity to make something positive out of a horrific tragedy. Tonight was the second stop on the national “Road to Change” bus tour, where survivors of the Marjory Stoneman Douglas shooting in Parkland, Florida, came to DuPage UU Church to hold a town hall to register people to vote and encourage young people to go to the polls for the midterm elections. These teens are no older than I am, but their willingness to speak out, and the articulate way in which they are doing it, has helped spark this modern movement. When Cassady Ells, a member of DuPage’s youth group, found out that his church had been selected by the Parkland students, he was slightly overwhelmed. “I thought, ‘What did we do to deserve this? What did we do that set us apart? Why here?’” he said. I understand the urge to ask those questions. When it comes to recognizable political figures, there are few who transcend the presence of the Parkland students within the minds of a large swath of the teenage population. As a reporter with my school newspaper, I have interviewed many influential people, but I have never felt as nervous approaching a source as I felt approaching the Parkland students. They’re a big deal. As they entered the DuPage sanctuary, it sounded like the moment at a concert when, after a stream of opening acts, the band you’ve been waiting to see finally marches onto the stage as exultations fill the venue. The only difference was, these were teenagers, not rock stars. So why, with a plethora of churches in the Chicagoland area, did they come to a UU church for this event? While the church wasn’t directly involved with planning the Parkland students’ appearance, forty-five members of the congregation volunteered that evening to make the event a success. Finding enough volunteers for an event is usually daunting, but Karen Seymour-Ells, one of the congregational organizers, said this volunteer drive was more like taking groceries off the shelf. That’s probably because this is an issue a majority of UUs have strong feelings about. Cassady, Seymour-Ells’s son, said that it is clear that gun violence is antithetical to our values as UUs. The Parkland students are a major reason that the issue has risen to the top of so many people’s priority lists. These teens are no older than I am, but their willingness to speak out, and the articulate way in which they are doing it, has helped spark this modern movement. While they have largely become the face of gun violence in this country, they also acknowledge that this is an issue that they’ve only caught a glimpse of. The Road to Change event didn’t just feature the perspectives of the Parkland students. It also included voices from Saint Sabina Academy, an educational institution tied to South Side Chicago’s Saint Sabina Church. The church and its pastor are well known for being extremely outspoken on the gun violence many Chicago communities are facing, an issue that the DuPage congregation is prioritizing, too. This is work we all can do. History has shown that when those with privilege become dissatisfied with the government’s handling of an issue, there is a greater likelihood of change than when those from marginalized groups voice dissatisfaction. The Parkland students are largely upper class, but they also are incredibly savvy, using their privilege to effect change. Many UUs possess that same privilege to command the most political capital. Our vociferous objections to the wrongs in society are as important now as they have ever been. If there is one lesson to be learned from the Parkland students, it is that privilege alone won’t get the job done—you have to be vocal, articulate, and relentless. Leaving the Road to Change event, I was filled with a surety that we UUs must use our voices to correct wrongs in those segments of society that people largely ignore. We can be better at looking out for and partnering with communities that don’t necessarily look like the insides of the typical UU church. Our voices and our votes are a powerful tool, a tool that we UUs use but have an obligation to use even more. This is what we have done throughout our history, and this is what we need to continue to do now: speak out for those whose own voices are so often drowned out and ignored. Lift up the experiences of those on the margins. Make sure, as Adam Alhanti said that night, that every person, whether they are a child or an adult, is safe wherever they are. Lars Lonnroth is a member of the Unitarian Church of Hinsdale, Illinois. 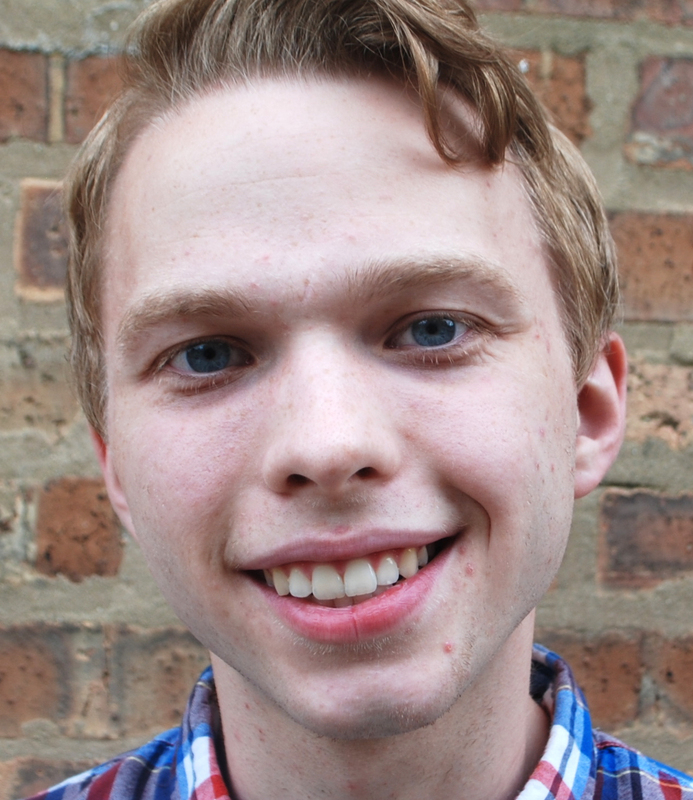 He serves as a member of the Northern Area Youth Council, holds a youth leadership position at the Midwest UU Summer Assembly, and is an editor at his high school newspaper, The LION, in La Grange.